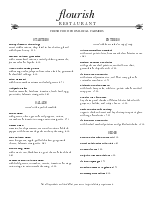 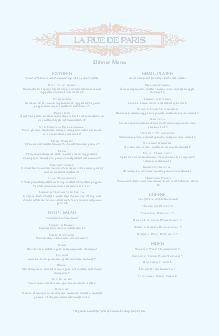 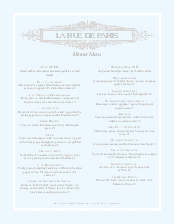 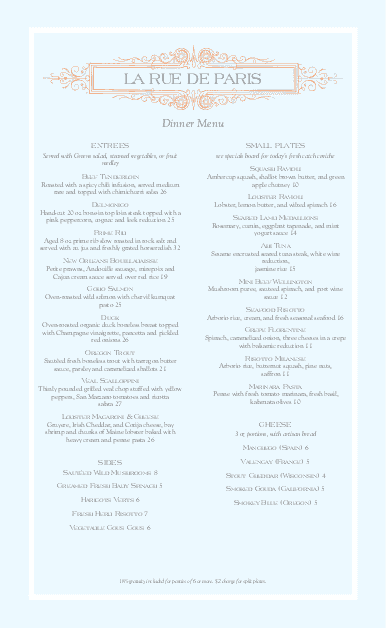 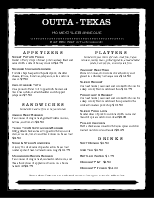 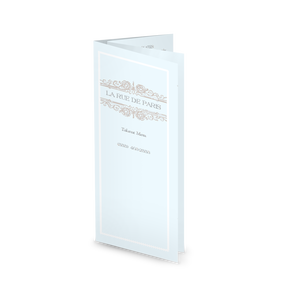 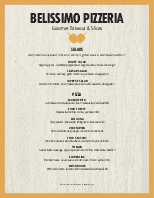 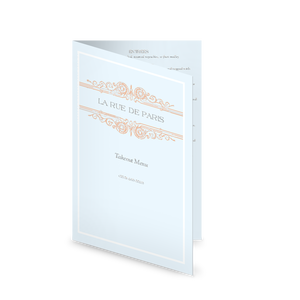 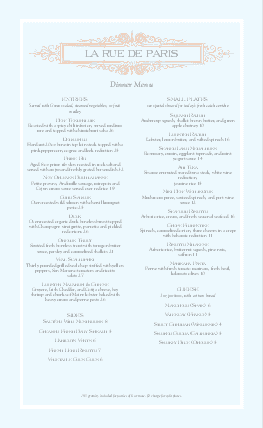 A legal-size multiple page option for the French Style Menu design. 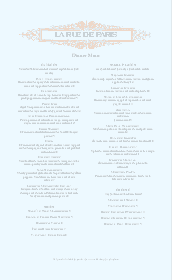 This light blue design with subtle, rust-colored flourishes is an 8.5x14" template, and features item names and descriptions in centered, two-column text. 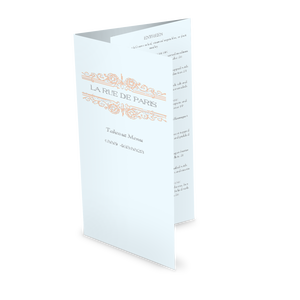 Update this french restaurant menu online using the Menu Editor.